This February 4, celebrating the “historic collaboration” between the United States and Colombia, current Colombian president Juan Manuel Santos visited the White House to meet with President Barack Obama as they commemorate the fifteen-year anniversary of Plan Colombia. Signed in 2000 under U.S. President Bill Clinton and Colombian President Andrés Pastrana, Plan Colombia was a $1.3 billion initiative to support the Colombian government’s counterinsurgency and counternarcotics efforts. This February 4, celebrating the “historic collaboration” between the United States and Colombia, current Colombian president Juan Manuel Santos visited the White House to meet with President Barack Obama as they commemorate the fifteen-year anniversary of Plan Colombia. Signed in 2000 under U.S. President Bill Clinton and Colombian President Andrés Pastrana, Plan Colombia was a $1.3 billion initiative to support the Colombian government’s counterinsurgency and counternarcotics efforts, based upon the U.S. policy of fighting the War on Drugs from a supply side perspective. With?เล่นคาสิโนออนไลน์ให้ได้เงิน71% of the funds appropriated as military aid – training Colombian troops, supplying military technology and weapons, and supporting a controversial aerial fumigations program to decimate coca crops – the U.S. has given almost?$10 billion in aid to Colombia since the implementation of Plan Colombia in 2001. In addition to celebrating the “overwhelming success” of Plan Colombia, the visit is expected to promote United States support of the ongoing peace negotiations developing between the Colombian government and the Revolutionary Armed Forces of Colombia (FARC by their Spanish acronym) in Havana, Cuba. 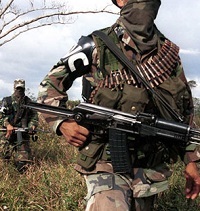 Beginning in 2012, the accords have touched on six specific issues – land reform, drug trafficking, political participation, victims’ rights, demobilization, and implementation of the accords?– and are tentatively slated to finish on March 23, 2016, ending a 52-year conflict between Colombia’s largest guerrilla group and the Colombian state. Yet despite high-level government rhetoric about the success of Plan Colombia, members of civil society and human rights organizations tell a different story – a story of how US military intervention has increased human rights violations, especially among vulnerable populations including Afro-Colombians, indigenous communities, small-scale farmers, women, trade unionists, and human rights defenders. Although the modern armed conflict can be dated back to 1948, human rights violations skyrocketed in the year 2000 with the massive injection of US military aid under Plan Colombia. In fact, since the implementation of Plan Colombia, there have been?6,424,000 Colombians victimized – a staggering percentage of the?7,603, 597 victims total registered by the Colombian state’s National Victim’s Unit since 1958. That is, over 80% of total victims have suffered human rights violations since Plan Colombia began. Moreover, approximately?80% of deaths have been civilian, according to the National Center for Historic Memory. In military terms, Plan Colombia could be classified as a great success – state security forces expanded their reach to almost all municipalities in the country, and the FARC’s ranks dropped from 17,000 to an estimated 8,000 fighters. Yet despite this, civil society groups have shown that paramilitary and state security forces built up by military aid through Plan Colombia have been responsible for the majority of human rights violations. 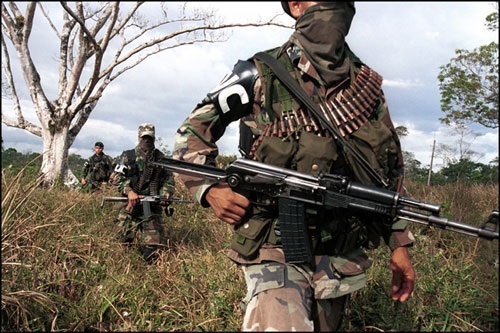 In fact, paramilitaries and state security forces together are estimated to be responsible for almost?48% of assassinations, while approximately 17% were committed by the guerrilla and the others by unknown armed actors or groups. Various scandals including the 2006?“false positives” scandal and the?2006 parapolitics scandal have further implicated state security forces (funded by Plan Colombia and often trained by the Western Hemisphere Institute for Security Cooperation/School of the Americas) and politicians in massive human rights violations. Lisa Taylor is a member of the Witness for Peace Colombia Team.